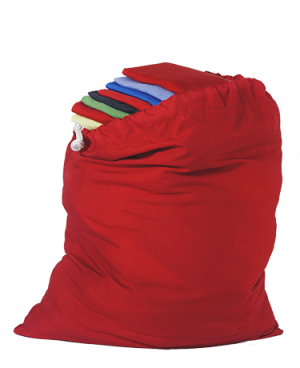 This bag is the “Cadillac” of laundry bags, and we guarantee it will outlast other laundry bags at least two-to-one. + 30-inch x 40-inch Fluid-Resistant Bag, with Flip Top closure, straight bottom and two dump handles. Barrier Fabric material. 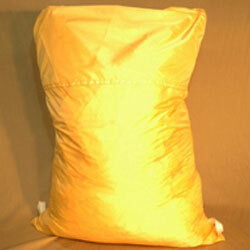 + 40-inch x 40-inch Fluid-Resistant Bag, with Flip Top closure, straight bottom and two dump handles. Barrier Fabric material.